A young elephant descending into a dry river bed, Mashatu, Botswana. Taken 5 July 2015. 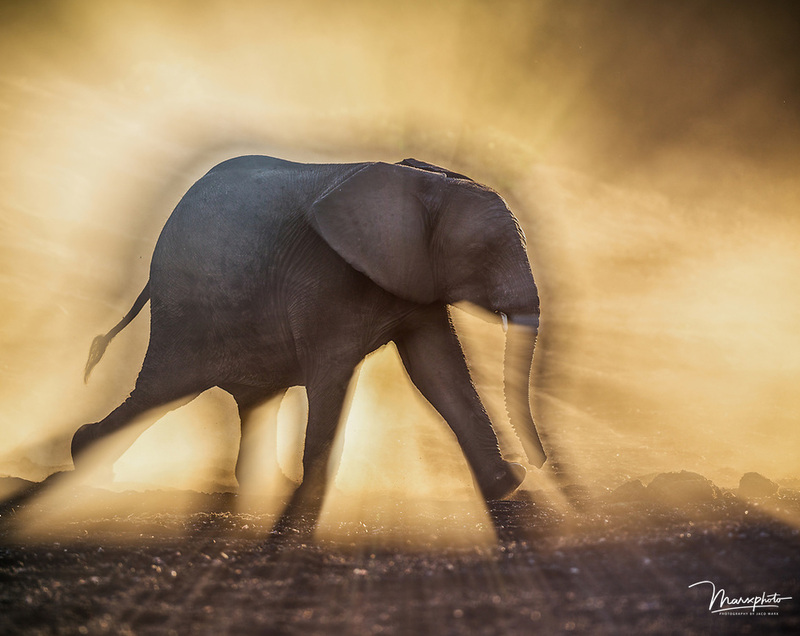 I wanted to use the early morning light and risen dust to isolate the elepnat in the foreground. The soft, golden dust in the background is meant to be a subtle backdrop. I used Adobe Lightroom 6 for post-processing. This included cropping, dust removal. I also corrected the profile. Global exposure was lifted by 0.3 and shados increased 30%. Global contrast increased by 30%. Highlights decreased by 40% since I was shooting into the sun. Global sharpening was done by 20%.